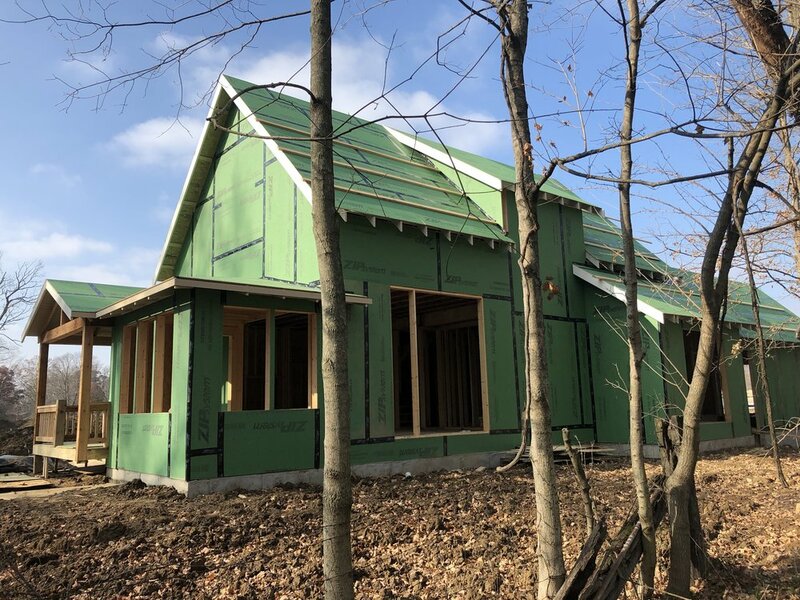 The Ellis completes the first cozy corner at Inglenook of Zionsville, and the current Inglenook of Zionsville residents are eager to make the final addition to their quiet corner quad. In a holiday hurry? The Plumrose on Homesite #16 might be a perfect fit. This comfortable 3-bedroom cottage will be completed by the end of January. What better way to ring in the new year. Stop by and see the construction in action! Drywall is getting ready to go up! Continuing along the east side Casey and his construction crew are roughing in HVAC systems and installing roofing on another custom Madison Cottage on Homesite #19. Along the south side of the neighborhood the team is working on a custom Plumrose on Homesite #22. This charming Plumrose includes a screened-in side porch. A new Inglenook favorite addition to extend outdoor living. Nestled near the custom Plumrose on #22 are two new custom Spruce cottages going up on Homesites #23 and 24. The construction continues with basements being dug and neighboring lots being cleared. To view the latest happenings at Inglenook of Zionsville check back on our neighborhood plan and follow us on Facebook and Instagram. As always, the door is always open, stop by and say hello if you’re in the neighborhood and you see us out and about.To schedule a private neighborhood tour send us an email atinfo@landdevelopbuild.comor give us a call 317-767-9760.Hope to see you soon!